October is always a good month of the year for LEGO fans. During October, good things happen, like giveaways, expos and competitions. Last year, during October, Toys R Us had a pretty great promotion going. 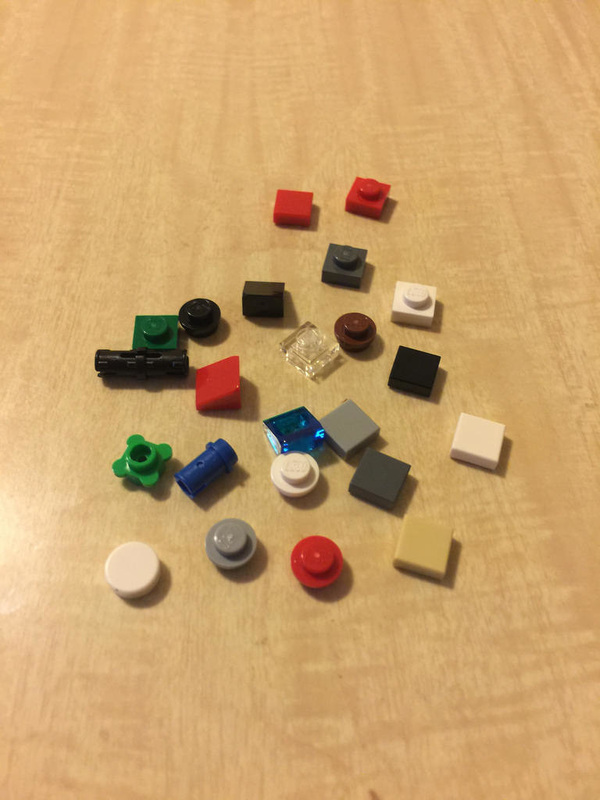 Spend $100 on LEGO, and you would receive a free set, known as a Bricktober mini-modular. There were four to collect – a theatre, pizza place, fire station and town hall. LEGO has done mini-modulars before, with 10230: Mini Modulars. It was relatively popular, and looked quite good next to the real modulars. I managed to get my hands on the Fire Station, and while I haven’t got the rest yet, I’m certainly looking for them! Once the small box is opened, you’ll find three bags of very small parts, a loose black 6×8 plate, and an instruction leaflet. 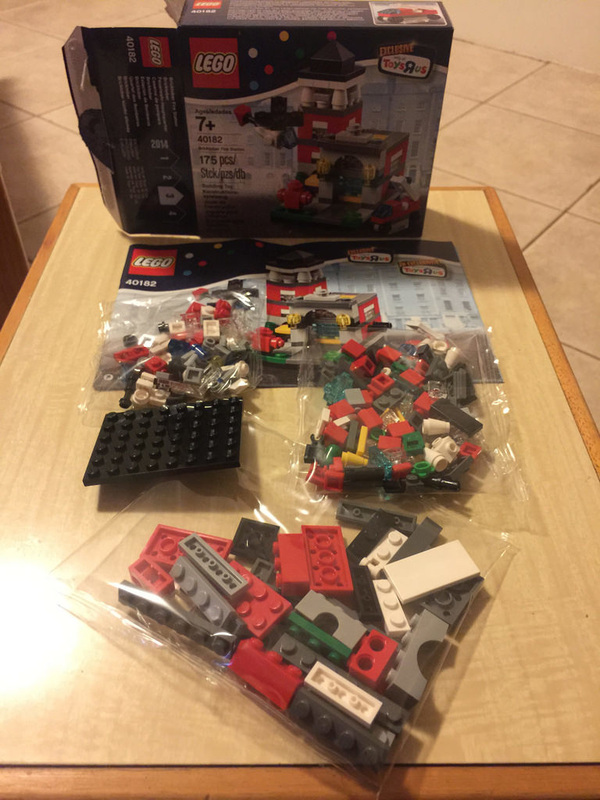 There’s nothing overly special with the parts in this set – definitely nothing new at least. Some of the parts I quite liked though, were the two yellow globe lights, the different types of “dalek” bricks – two and four stud variants, and the roof tiles. Lots of spares in this one, but nothing really special. The build is, understandably, pretty quick! There’s not much to it. I quite like the effect of the 1×2 transparent plates for the door, and the tower roof. It’s really neat and I like the use of a cone instead of a brick or tube. 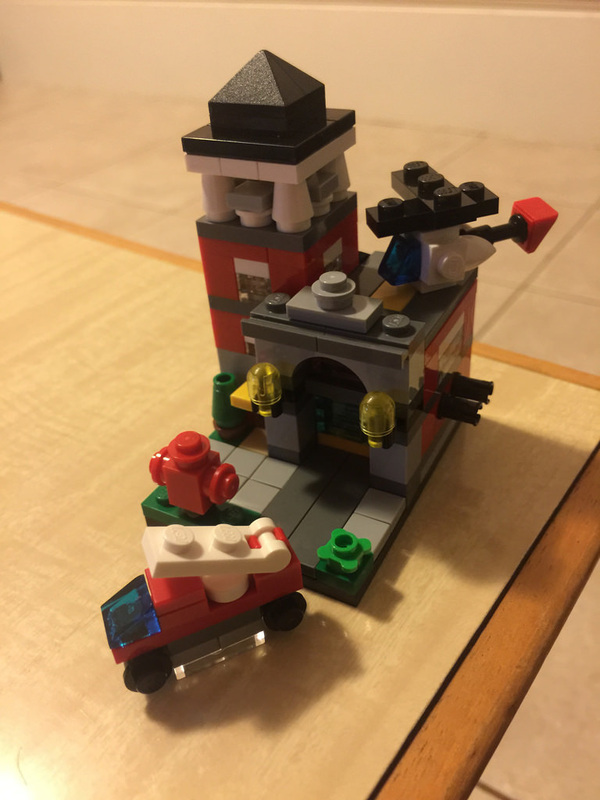 The only weird bit of the build is that the fire hydrant is not to scale at all. It’s a little strange. The vehicles are really good though, and they add a nice little level of playability. The fire truck’s ladder goes up and down, and the helicopter’s rotor blades spin as well. This set gets 7 out of 10 tiny little, but slightly oversized fire hydrants. 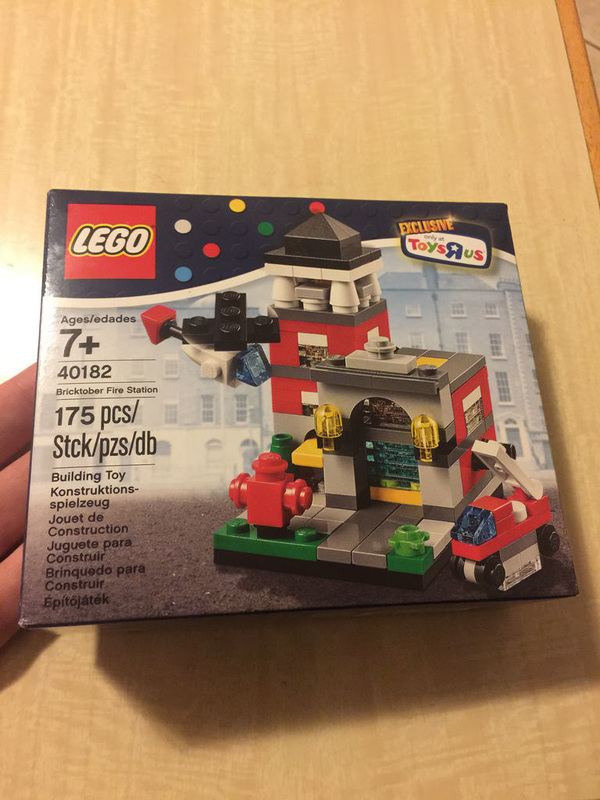 Next week, I’ll be reviewing 70804: Ice Cream Machine from The LEGO Movie range. Don’t forget to like and share on Facebook!